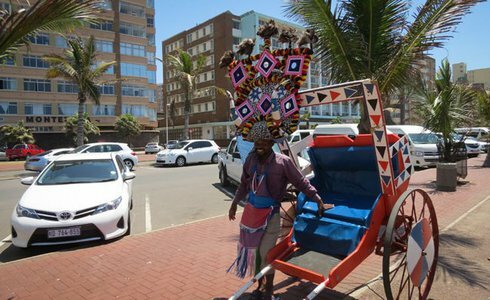 This all encompassing travel itinerary showcases the best of KwaZulu Natal: History, beaches, culture, a safari and relaxation. This is a self-drive travel itinerary for exploration. Fly into Durban International Airport and collect the rental car. Drive to the designated accommodation in Durban. The city is a heady melting pot of culture and diversity, filled with numerous activities ranging from Rickshaw rides, markets, exotic foods and tastes. With miles of golden sandy beaches, warm seas and a tropical climate, swimming, surfing and watersports is possible all year round in Durban. 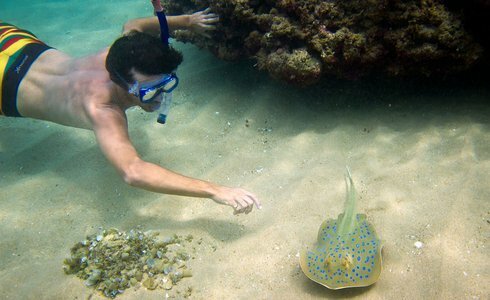 If you are looking for a world class marine life experience, visit uShaka Marine World - a 16 hectare freshwater and seawater aquarium and theme park. 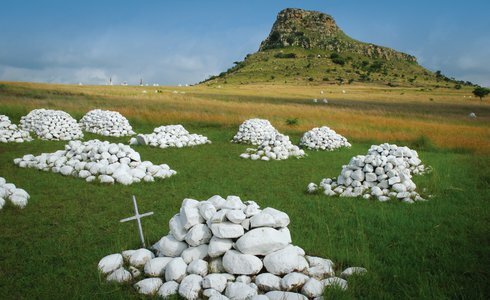 After an overnight in Durban, drive to the lower regions of KwaZulu Natal's Battlefields and The Zulu Kingdom - an area that traces the brutal and significant battles that indirectly involved the famous figures of Mahatma Gandhi, Winston Churchill, Shaka and General Louis Botha. This area is full of exciting activities for the whole family to enjoy, from hiking and nature trails, to historical and cultural attractions. On part of the KwaZulu Natal holiday, explore traditional Zulu culture and experience the re-enactment of the enthralling battles that shaped the face of South Africa. Visit the traditional Zulu village and enjoy a boma dinner complete with traditional dancing and singing. Come face-to-face with Africa's Big-5 at the Phinda Private Reserve. 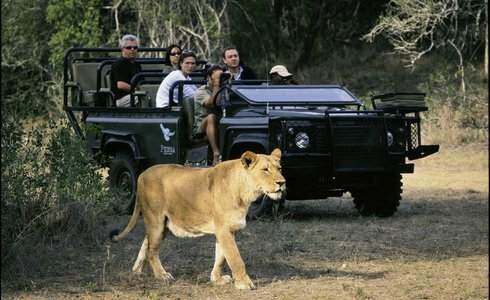 Phinda is one of KwaZulu Natal's world class game reserves. Seven distinct habitats shelter an abundance of wildlife including lion, leopard, elephant, rhino, buffalo and over 400 bird species. The KwaZulu Natal safari starts off with an early game drive in open 4x4 safari vehicles accompanied by experienced guides taking you within an arm's length of Africa's wildest creatures. Return to the lodge, for a hearty breakfast then the spend time as you wish until lunch. Late afternoon enjoy another game drive and the chance of spotting some of the more nocturnal animals. After the KwaZulu Natal safari, head to the Dolphin Coast for rest and relaxation. The Dolphin Coast is a beautiful playground of warm waters and glorious beaches, set alongside fields of sugarcane. Hiding the southernmost coral reefs in the world, the warm waters offer excellent scuba diving and snorkelling and exciting encounters with huge shoals of fish, dolphins and whales. Drive south on this scenic tropical route, back to Durban airport (4.5 hours) and drop off your rental car.